We've created a gentle facial wash that not only cleanses but has a lot of skin beneficial properties. 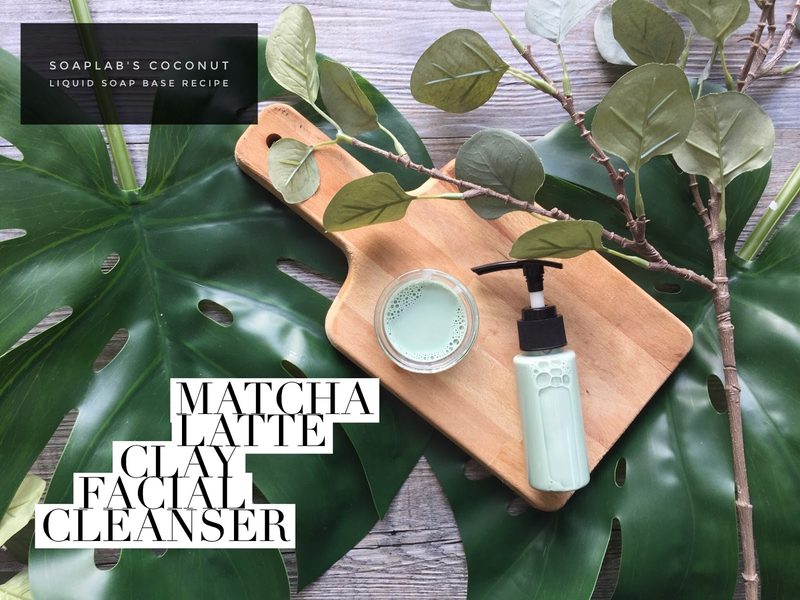 For today's recipe, our cleanser is inspired by the matcha trend. As our base, we use SoapLab's liquid base. Next we include some green tea extract. Green tea is great not only for drinking but also for your skin. It's high in antioxidants that protects your skin from damage. Next we also have used some luxurious green clay. This clay not only cleanses your skin deeply, it also has detoxifying skin care benefits. To wrap it up, we use green tea Fragrance oil so that that fresh scent stays with you all day. You will no longer be worried about having major FOMO (fear of missing out) as now even your facial cleanser can keep up with the latest trend!